On the Jefferson - East Falls campus in the heart of Philadelphia, Pennsylvania! As a student at Bridge, you will attend classes on the beautiful Jefferson - East Falls campus for an immersive U.S. university experience. 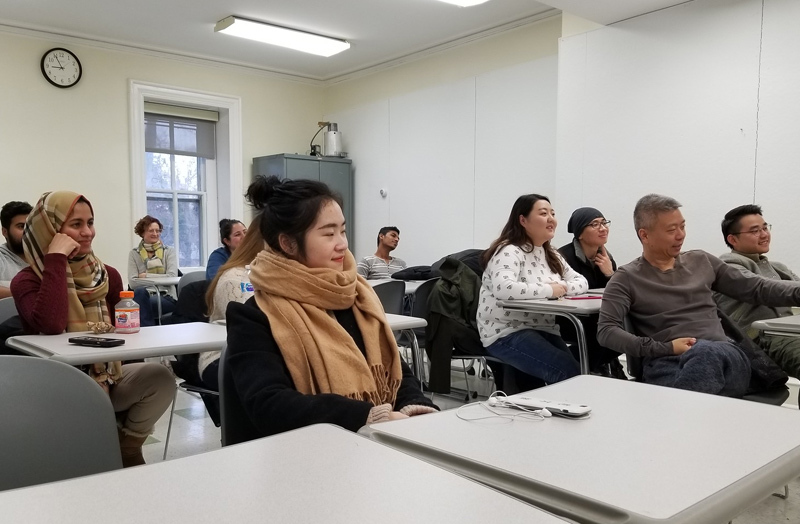 The BridgeEnglish office is located in the Kanbar Center on the Jefferson East Falls campus, but Academic English students are fully integrated into the entire university experience, attending classes throughout Jefferson’s campus, alongside other students. 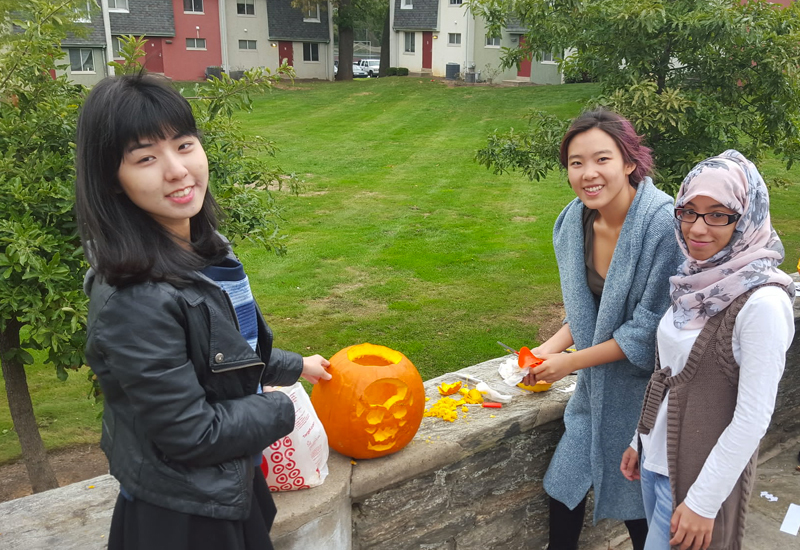 The idyllic, 100-acre East Falls campus provides the perfect environment for international students, with its friendly and safe, park-like setting on 100 acres, located close the excitement of the downtown Philadelphia, a major U.S. city. 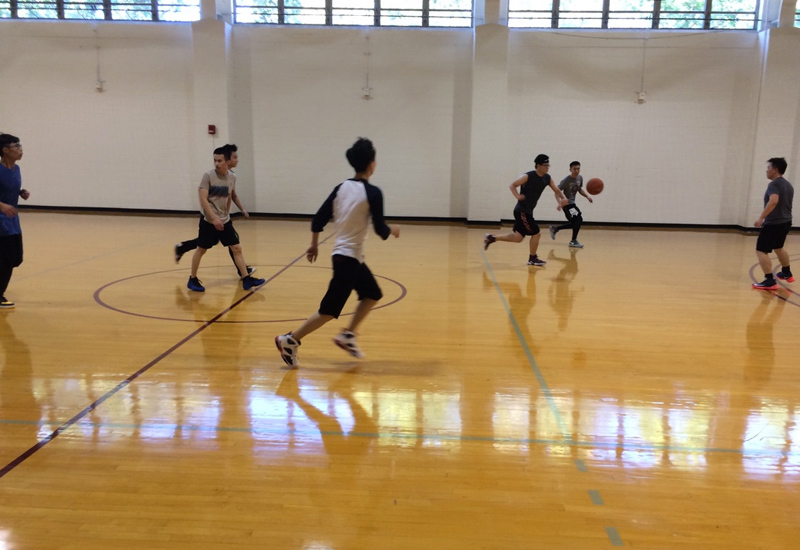 When you’re not attending your Academic English classes in Jefferson’s fully-equipped classrooms, you can join other students spending time in the Kanbar Center, which is a hub for learning, culture, and social activity for the Jefferson community. 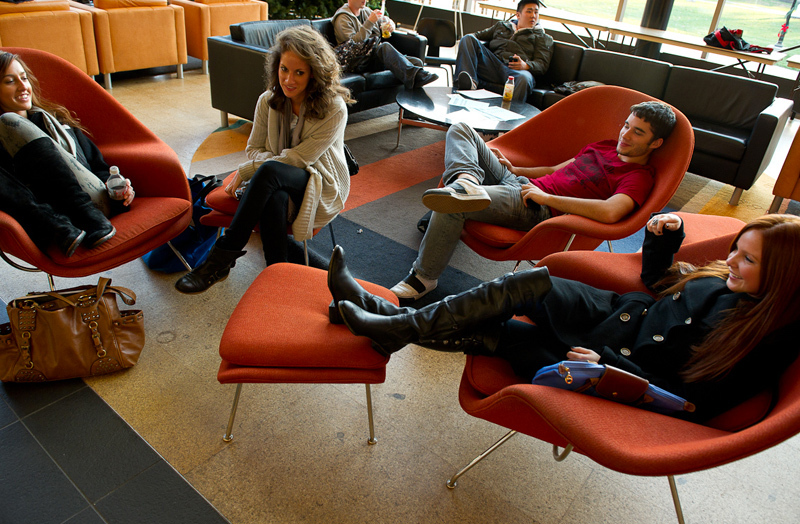 There are areas to sit, relax, study, and just hang out with new friends. 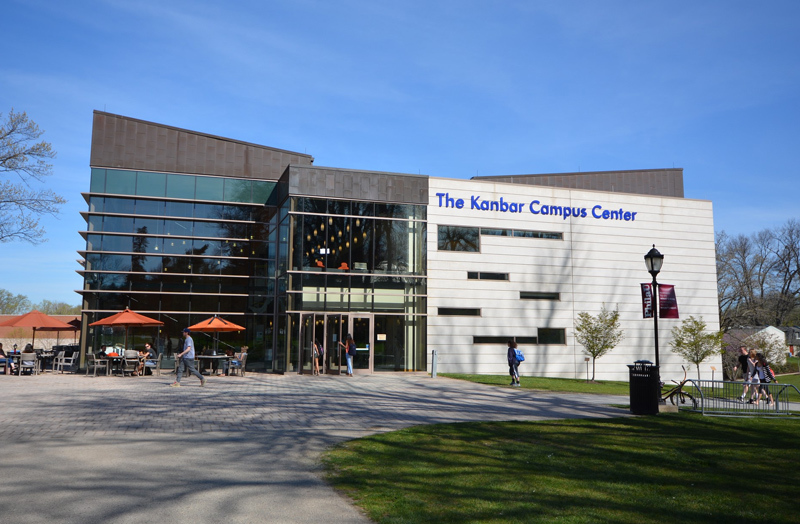 You’ll also find a campus convenience store, a café, a dining facility, and university bookstore in the Kanbar Center. BridgeEnglish is conveniently located on the Jefferson campus near downtown Philadelphia, Pennsylvania. Our expert instructors will help you improve your English language skills to attend a U.S. university! Our English teachers are dedicated educators who care about your Academic English success! All of our teachers are college-educated with a minimum of a bachelor’s degree and TEFL (Teaching English as a Foreign Language) certification, and many have a master’s degree in ESL (English as a Second Language) or a related area. Many of our teachers are graduates of BridgeTEFL teacher-training programs at our headquarters in Denver or our centers abroad. 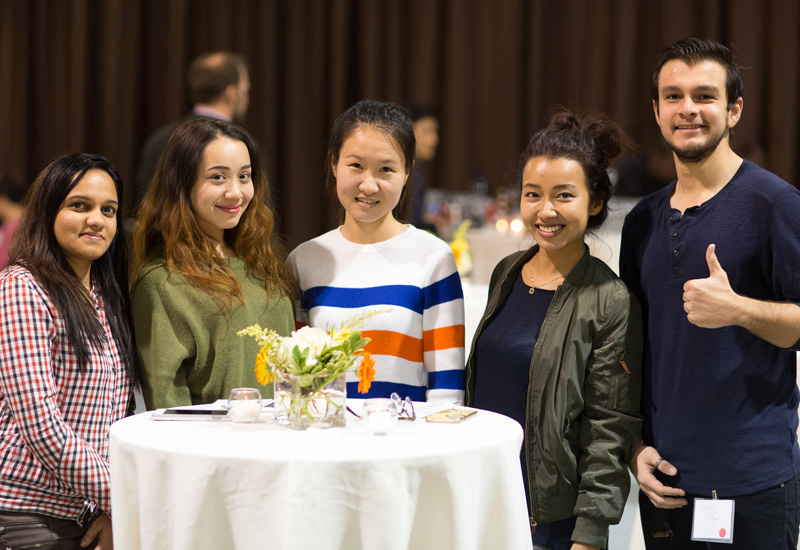 Most have studied other languages or taught English overseas, giving them insight into both the benefits and challenges of studying Academic English and living in another country and culture. Most importantly, our teachers love what they do and look forward to sharing that with you in the classroom every day. Focus on your English. Let our staff take care of the rest. Our administrative staff members at Bridge in Philadelphia will make sure you have the best possible experience improving your English for academic purposes. Most have worked as teachers themselves and have experience living abroad, so they are very aware of your expectations and language goals. Some of our staff members also serve as student advisors, and as a result, they place a high level of emphasis on your satisfaction with our English language programs, accommodations, and overall campus experience. Let our staff worry about the details, so you can focus on meeting your academic objectives and goals. Study on a university campus in a major U.S. city! BridgeEnglish, Philadelphia, is located in the beautiful East Falls borough of Philadelphia, on the campus of the new Jefferson (Philadelphia University + Thomas Jefferson University). The Jefferson campus, which feels like a park, is located just minutes away from vibrant downtown Philadelphia and all that it has to offer. 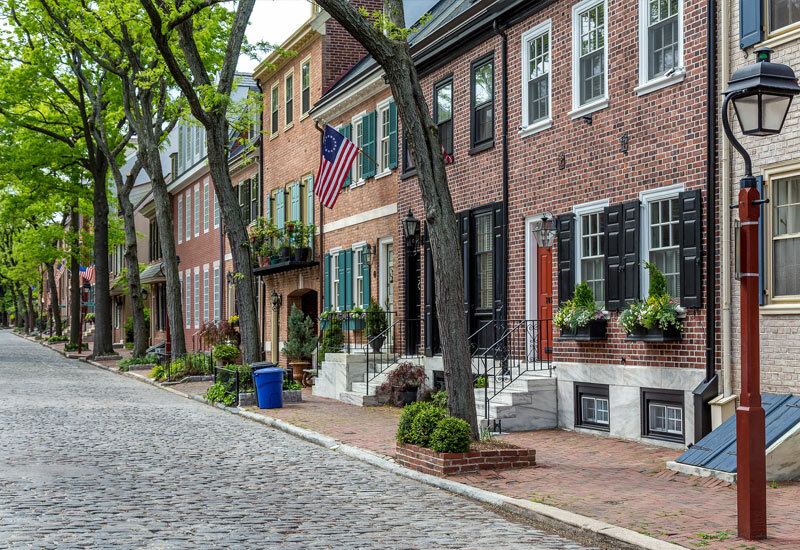 With a diverse population and thriving culture, Philadelphia is a city full of history, places to see, and things to do. 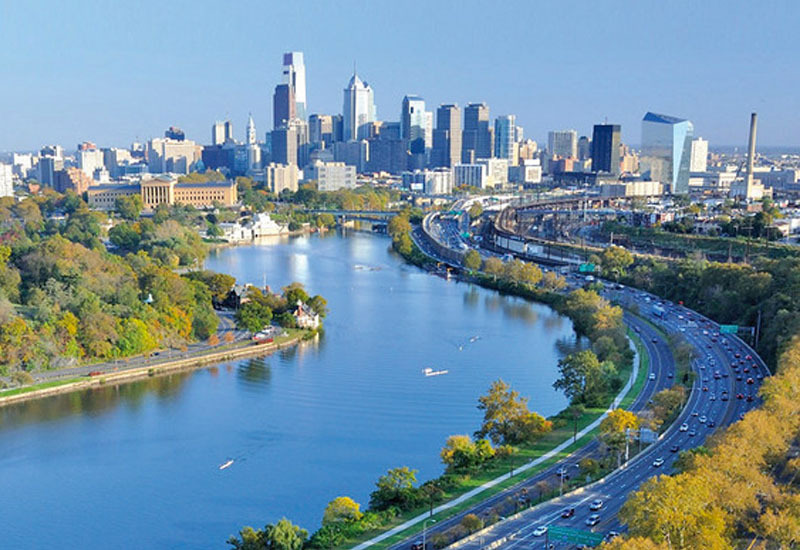 Known as the “City of Brotherly Love,” much-visited Philadelphia, along the Delaware River, is full of attractions! It’s home to several popular concert venues and theaters, as well some of the best restaurants in the U.S. (the city is known for its sushi), and plenty of nightlife. 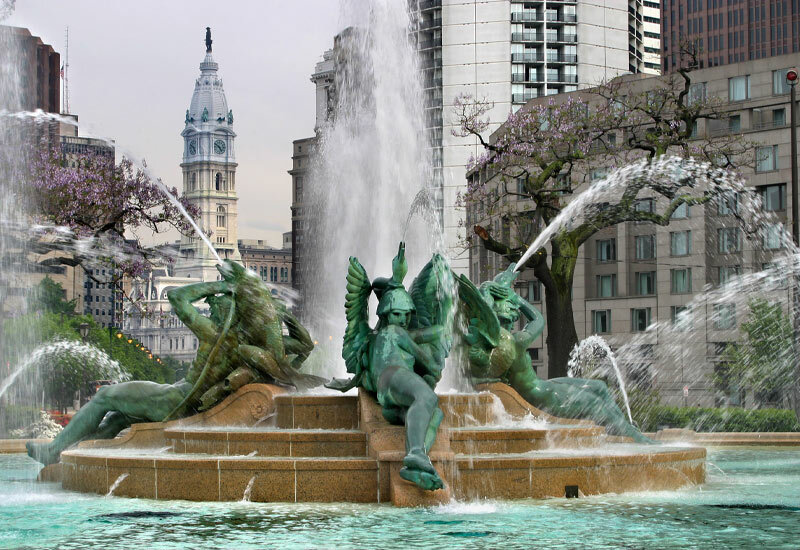 Art lovers can get lost in the sea of museums, such as the Philadelphia museum of Art, while sports fans will feel right at home in this passionate city that is home to national teams in every sport, including the Flyers, Eagles, Phillies, and the 76ers. 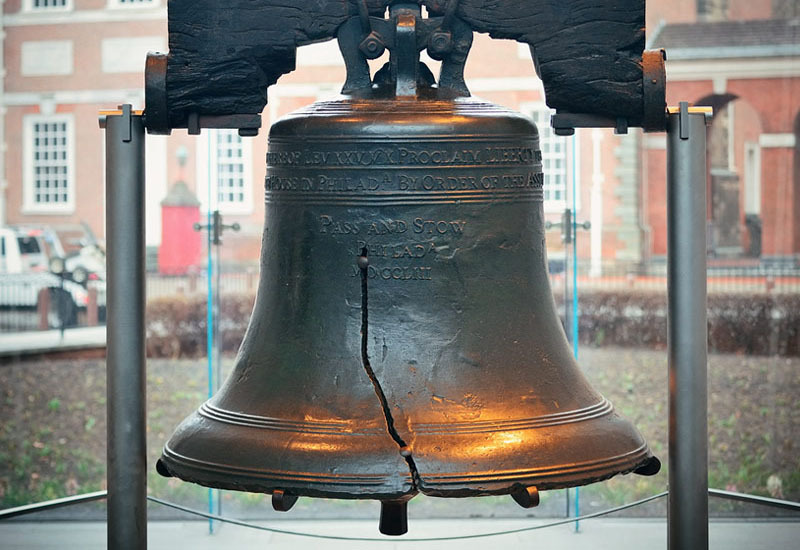 Philadelphia is historically important, too, as the “birthplace of the United States.” Visit iconic sites such as the Liberty Bell, Independence Hall (where the Declaration of Independence and the U.S. Constitution were signed), Valley Forge National Historical Park, and more. 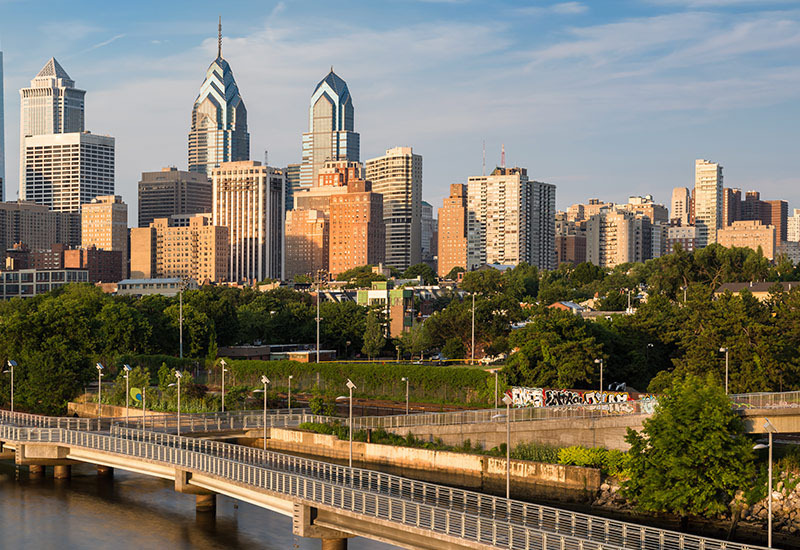 As one of the largest economic centers in the U.S., Philadelphia is a leader in a wide range of industries, from biotechnology and manufacturing to education, retail, energy, and medicine. Its location on the U.S. East Coast makes it easy to explore other cities during your time at Bridge. New York City is less than a two-hour drive, Washington D.C., is just over two hours, and New Jersey beaches and famous Atlantic City are only one hour’s drive from Philadelphia. Improve your English. Experience university culture. 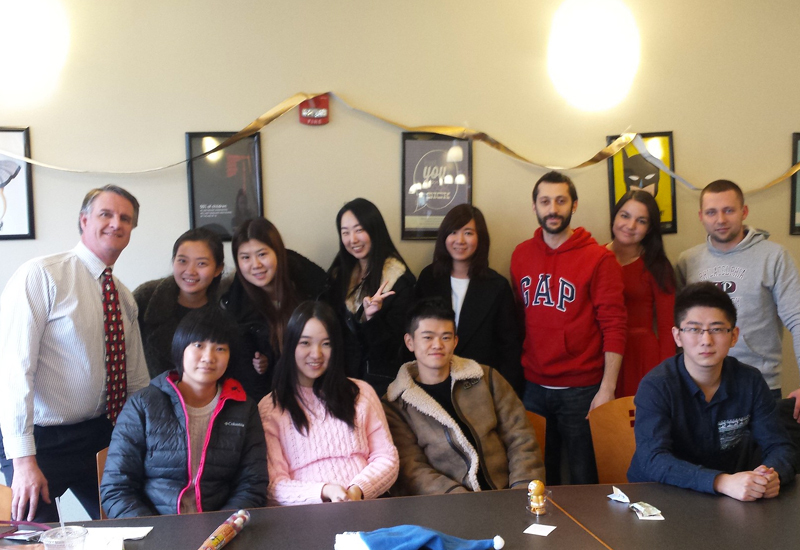 Immerse yourself in U.S. culture, improving your English on a university campus. 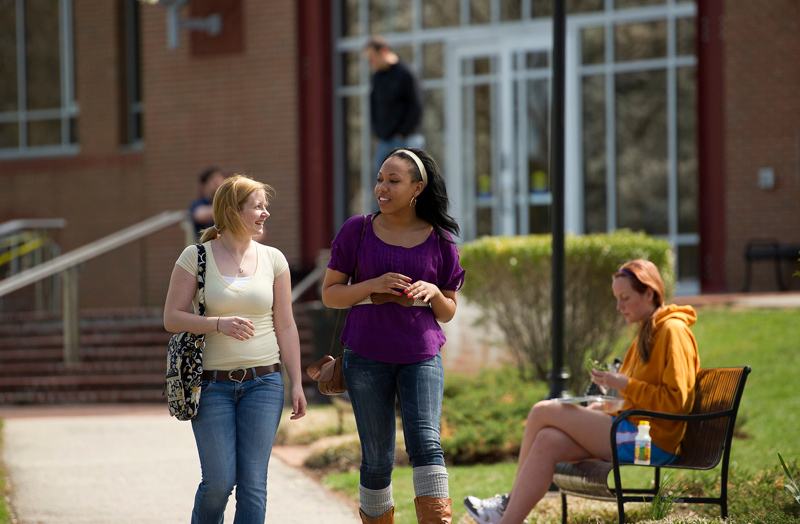 As a student at Bridge on the Jefferson – East Falls campus you’ll join a very diverse group of students. 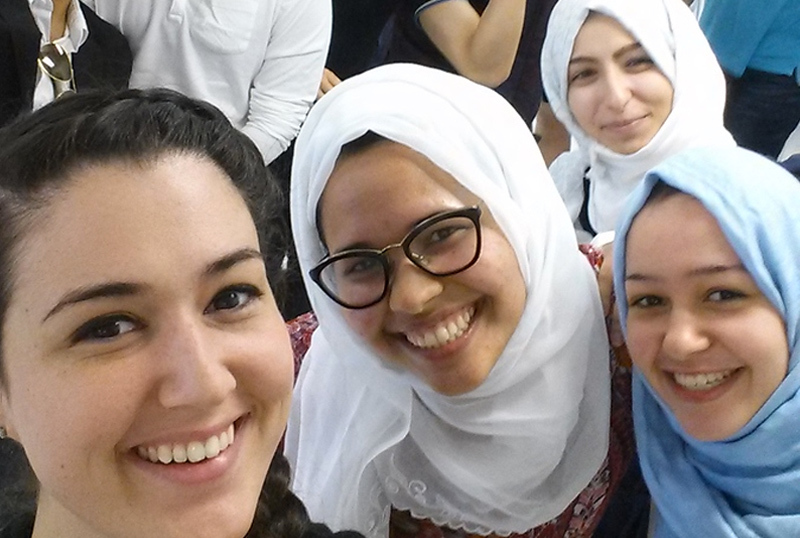 Your fellow classmates will be undergraduate and graduate students who come from all over the world, including Europe, the Middle East, Latin America, and East Asia, making your learning experience with us unforgettable. Some students in the Bridge Academic English Program will be directly admitted students at Jefferson, while others may be conditionally admitted to the university as they improve their English level. 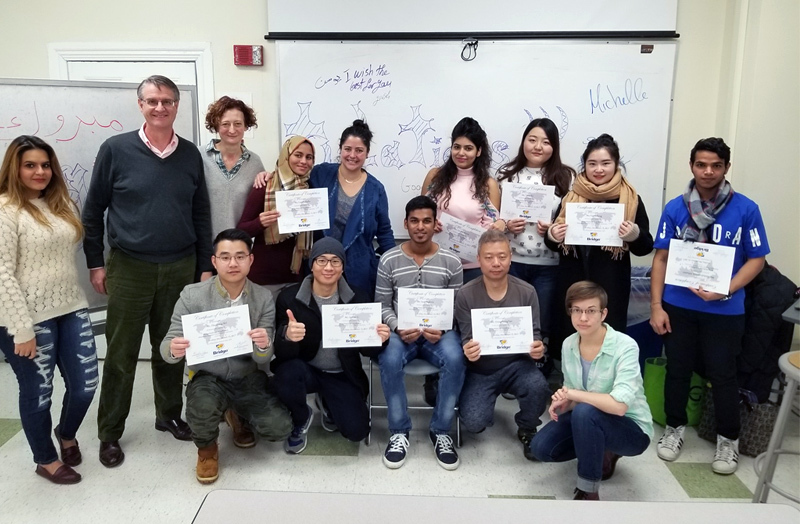 The Bridge program also hosts students who are studying academic English for entrance into another university (perhaps one of the seven Bridge partner schools that waive the TOEFL requirement for successful program completion). 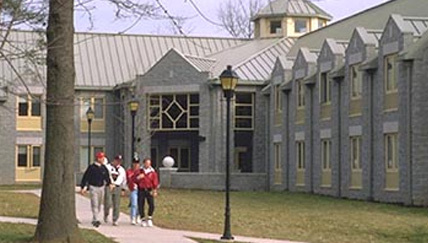 Regardless of level and academic goals, the BridgeEnglish Center location on the Jefferson East Falls campus fosters an environment of student engagement in academics as well as personal development via a wide variety of social organizations, leadership opportunities, and athletics. 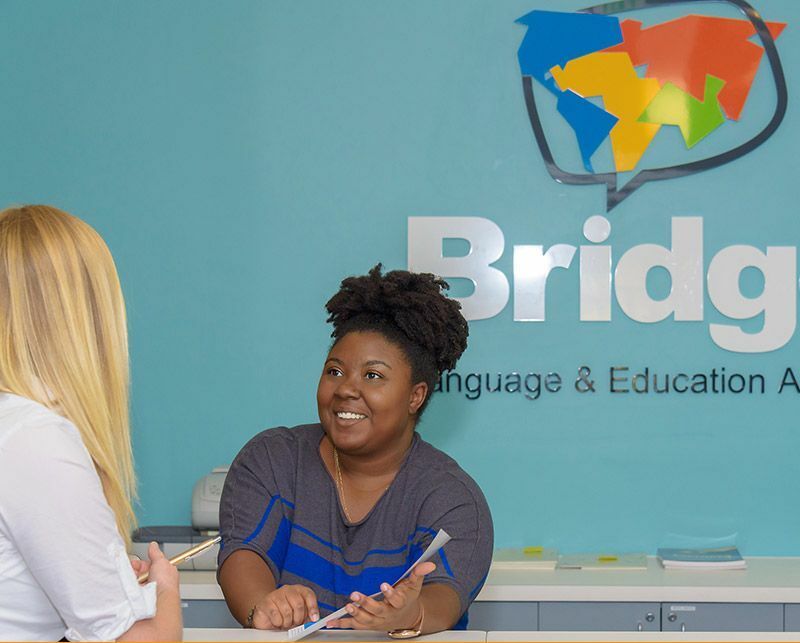 As a student at Bridge, you’ll be assigned a personal advisor to make sure that you are 100% satisfied with your total experience at BridgeEnglish. Your personal advisor can help you with everything from your improvement in class, to your curriculum and teachers, to any host family issues and everyday needs such as finding a doctor, dentist, or gym. We will address any problems within 24 hours. Reports are issued for all executive students, academic students and any others who request them. These reports vary by program and can cover test results, levels, grades and personal evaluations. These will be presented to you at the conclusion of your English program and e-mailed to human resource departments or other sponsors. Upon completion of your program, you’ll receive a certificate stating the dates of your English course and final test results, certified with the signature of the director and the center seal. If you are coming to BridgeEnglish to study full-time, we urge you to have an F-1 student visa. After you apply and are accepted into our program, you will receive the necessary documentation to process an F-1 visa, including an I-20. We are here to help you every step of the way and answer your questions about transferring and maintaining your student status. Every month our staff prepare a calendar of activities full of ideas and events for our students. All Bridge activities are lead by one of our English teachers, who can help you make the most of our great location. The Bridge Center location on the Jefferson East Falls campus fosters an environment of student engagement and development via a wide variety of social and scholarly organizations, leadership opportunities, and athletics. Direct or conditionally admitted Jefferson students at BridgeEnglish are encouraged to get involved in their college experience by joining one of the many on-campus clubs and organizations. 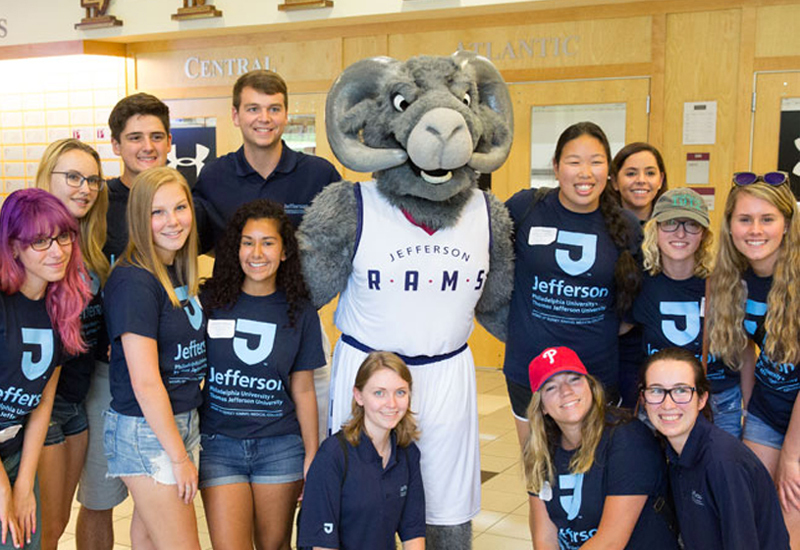 Choose from a a range of active groups on the Jefferson campus, including fraternities and sororities, career-focused clubs, or social organizations. The Student Government Association at Jefferson offers leadership opportunities for dedicated students to work with administration to make changes within the university community. The university also offers the Emerging Leaders Program for freshman, with is a certificate program designed to promote student development through discussion, exercises and workshops. Other leadership opportunities include civic engagement projects through the office of Community Service Learning, as well as Resident Assistant positions, student athletics, and more. At Jefferson - East Falls Campus, just as in Philadelphia in general, athletics are taken seriously! With 17 varsity teams for men and women, including basketball, baseball, softball, cross-country, rowing and golf, plus athletic clubs with state-of-the-art facilities, the university makes it easy for students to play as hard as they work. Join a club or team, or if you’re not athletic, catch the spirit of Jefferson by attending a Rams game to cheer on the team! 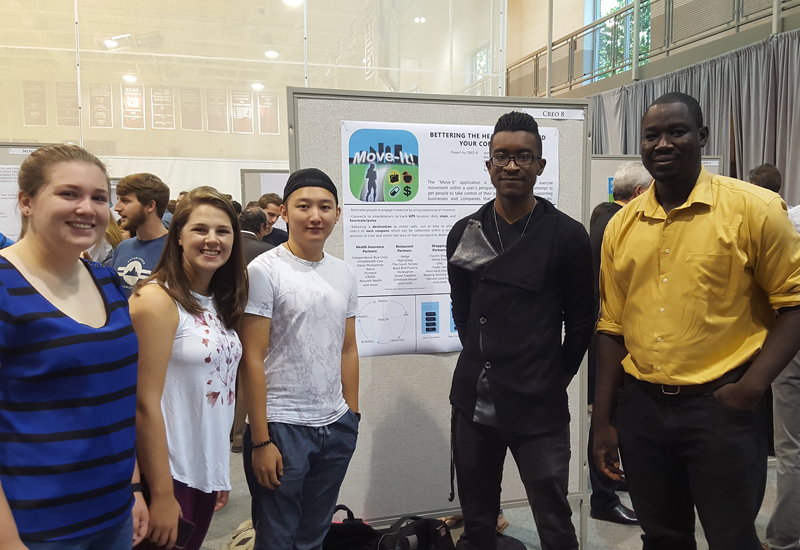 The Office of Residence at Jefferson recognizes that students spend most of their time outside the classroom, so campus living a key part of the college experience. 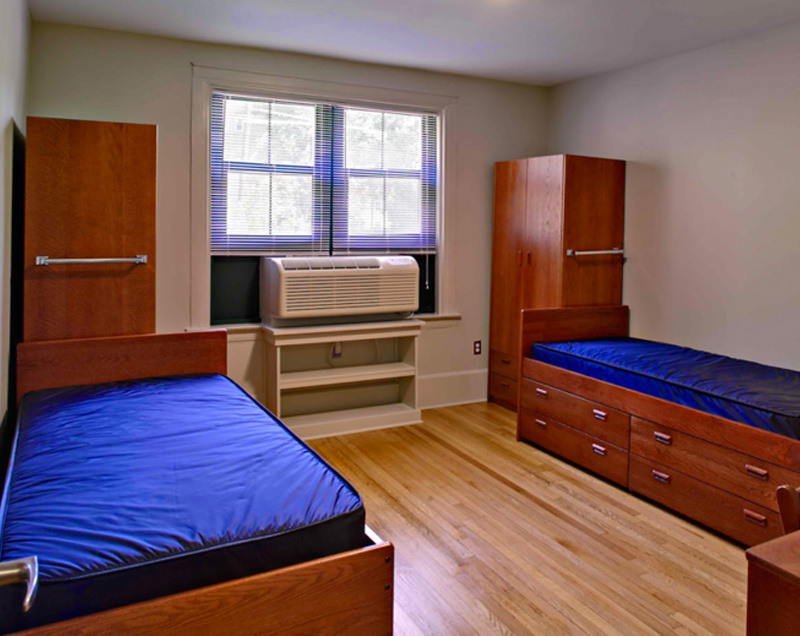 Scholler Hall on the East Falls campus offers rooms for one to four students, and features a social lounge, kitchen and laundry area. This is a perfect opportunity for BridgePathways students to improve their English skills! 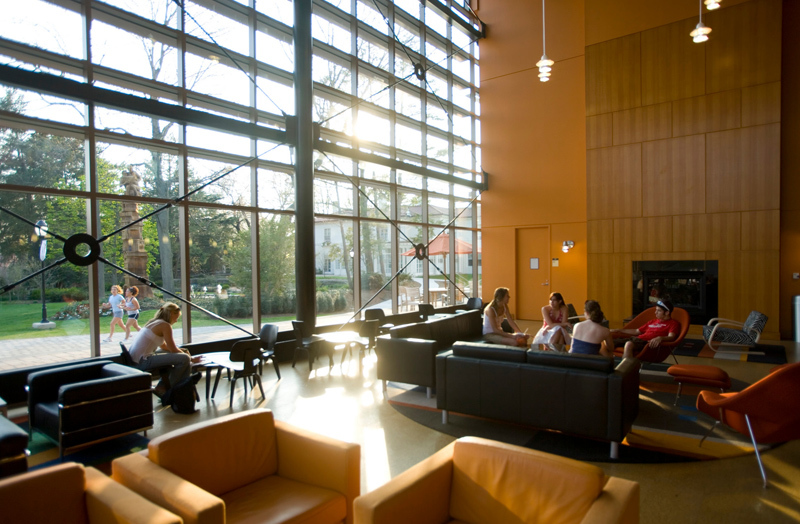 Each living area is assigned a graduate Residence Coordinator and undergraduate Resident Assistant, who lives among students, to provide leadership and support. All Bridge students must have health insurance coverage in the US during their studies with us, so we want to provide some more information for our students and partners. All students must show proof of health insurance coverage in English on or before their first day of class, to be used in case of an emergency. If you do not provide proof of coverage before your first day of class, you will be requested to purchase health insurance coverage from our front desk staff. 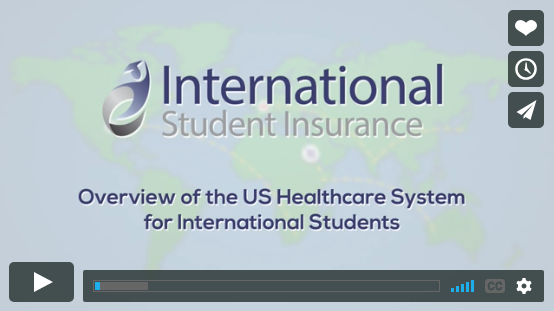 Bridge works with an approved third-party provider, International Student Insurance, and we can help you purchase health insurance through the admissions process. It is easy and convenient to work with Bridge to purchase your health insurance, and you will receive your proof of coverage upon arrival at our language center. We can provide you with the International Student Insurance brochure if you would like to learn more about the coverage we offer, before making a decision. Contact Us to learn more. 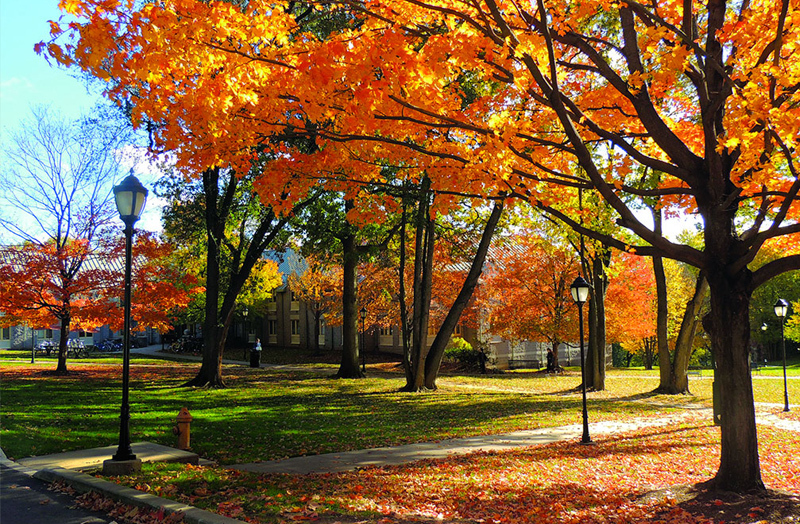 Immerse yourself in U.S. university life. 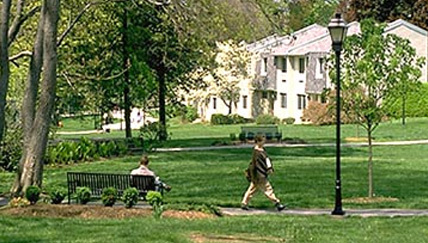 BridgePathways Intensive English program students who are directly or conditionally admitted as undergraduates to Jefferson are housed in Scholler Hall (or a similar residence hall), which is shared, on-campus student housing (or “dorms”). As a resident in this traditional-style dorm, you’ll share a room with another student, which offers an excellent opportunity to practice your English skills! Each floor also includes laundry facilities, a study/social lounge, and common areas. Residents in on-campus housing can join the university’s meal plan, and enjoy eating with others students in the dining hall. This residential living is an integral part of Jefferson (Philadelphia University + Thomas Jefferson University). 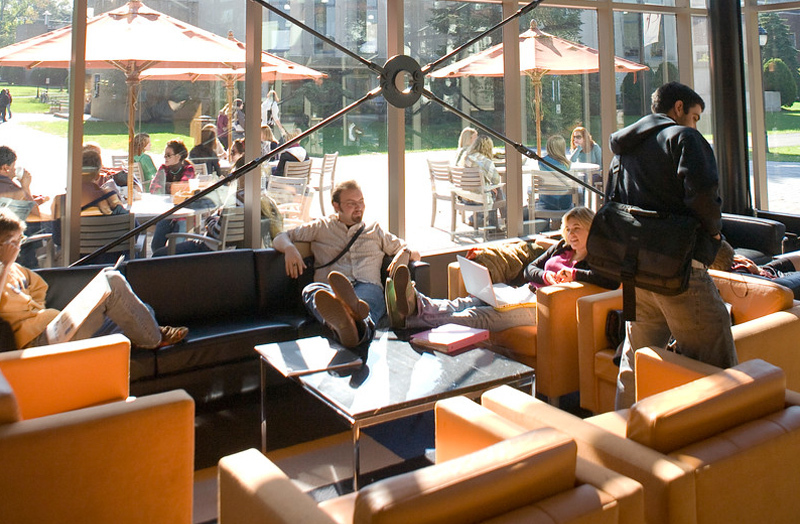 Recognizing that students spend a large majority of their time outside of the classroom setting, the Office of Residence Life strives to create a group-living environment in which each student is afforded an opportunity to develop as an individual in an atmosphere that encourages emotional and intellectual growth. Upper class BridgePathways Intensive English program students who are direct or conditionally admitted may choose to live on campus in the following residence housing. Independence Plaza is a three-building apartment complex housing upper-class students. The furnished apartments offer three- to four-person occupancy and two to four bedrooms. Ronson Hall accommodates residents in five sections called “houses.” Each house has two wings with mostly two-person rooms, a community kitchen/social lounge, and common-area facilities. Three houses are co-ed (mixed male and female residents) with a wing each for men and women; one house is all male; and one house is all female. The Townhouses are three-level units housing upper-class students. Each townhouse includes five single-occupancy bedrooms and a shared bathroom, living/dining room, and kitchen. 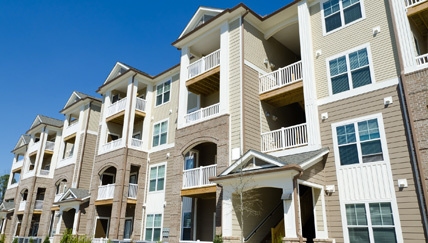 Bridge and Jefferson can help Academic English students find an apartment off the university campus, as well. Jefferson offers an online housing service tool students can use to search for an apartment or find a roommate. 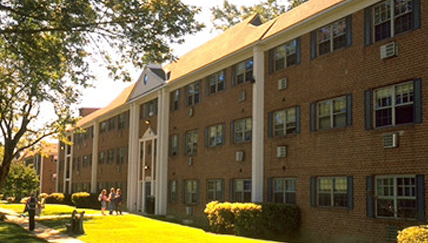 Prices for off-campus housing vary depending on location, size, and utilities. 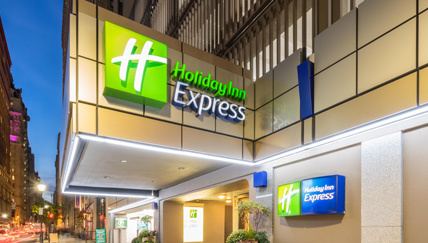 There are a number of 3- and 4-star hotels near the Jefferson campus. All offer the usual amenities such as a workout room, pool and included breakfast.